Similar to the navigational suggestions above, sometimes we detect that the most relevant completion for what you're typing is an ad. When an ad is shown, we mark it with the text "Sponsored Link" and a colored background, as on the results page. We are also introducing a couple more changes to Suggest: we will no longer show the result count for items in the suggest box (we've gotten feedback that the numbers were not helpful in comparing the relevance of the queries) and we now bold the text of suggestions to help you more quickly scan the list. 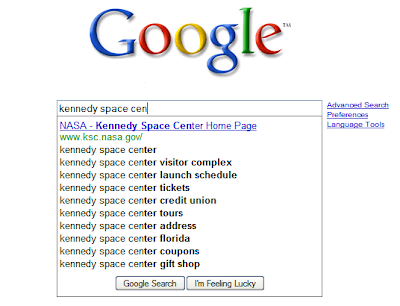 To learn more about Google Suggest, check out the help center. We hope these new features save you time, so that you can get back to roller coasters, high-speed web surfing, action movies and each other that much faster. As we prepared to write this post, we discovered a common childhood passion for fast things: high-speed trains, roller coasters, firetrucks, and more. That may be a key part of why we're so excited to be working on Google Suggest, since it saves time by giving suggestions as we're typing our searches. 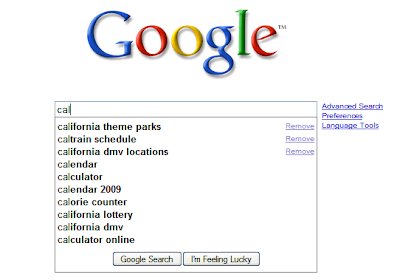 Today, we're introducing more features to Google Suggest to help you make your searches even faster. These features are rolling out gradually, so you should be able to see them soon. Previously, we only showed suggestions based on your original search input. 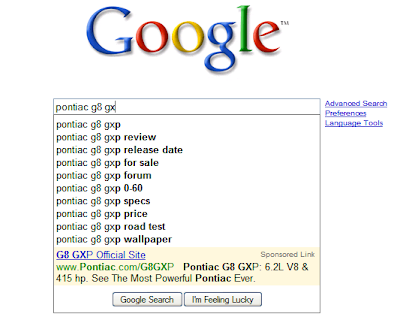 Now, when you make a search from a results page, we provide suggestions that relate to the current results page. 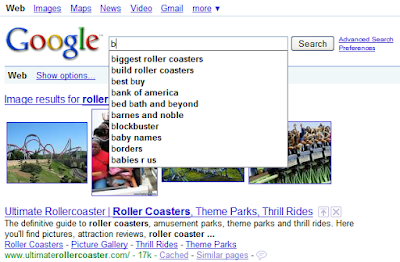 As you can see in the example below, if your previous search was for roller coasters, when you begin a new query the first few suggestions are still related to roller coasters — helping you refine your search queries to quickly find what you want. Trying to remember that query which gave you the best results? You're not alone! We estimate that about a quarter of all signed-in searches are repeats from the past month. Now, if you're signed in with your Google account and have Web History enabled, we may show some of your relevant past searches as you type. Personalized suggestions will make it easier and faster for you to repeat searches that have worked before. Or, if you need to step away in the middle of a search task, this will help you continue your search tasks at a later time. You can remove a personalized suggestion that you do not like by clicking "Remove", which will remove the search from your Web History. You can also remove searches from your Web History directly, manage Query Suggestions on the preferences page, or sign out of your Google account entirely to stop seeing personalized suggestions. If your first keystrokes indicate that you may be looking to navigate directly to a specific site, we'll list it and send you straight there if you click on it.